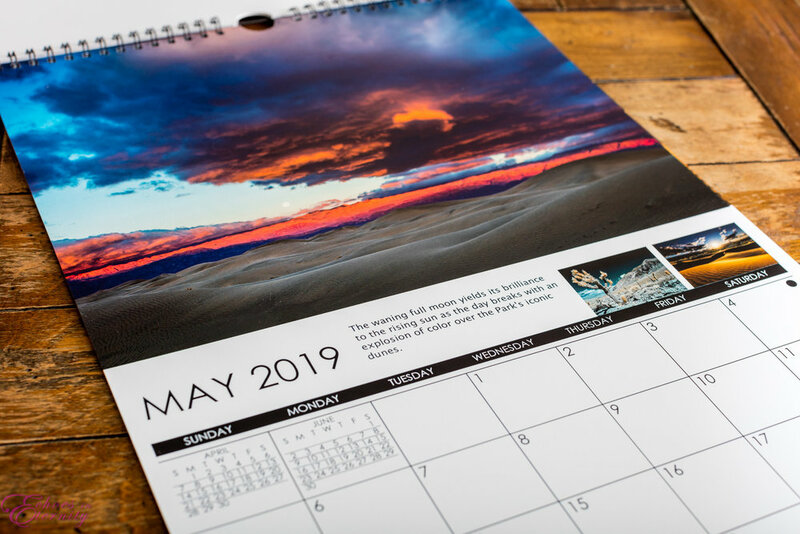 My valued wedding clients and buyers of my fine art landscape prints are in for a treat—a complementary 2019 calendar is on its way to you! The collection features images from my spring 2018 trip to Death Valley National Park, including some previously unreleased photos from the most remote corners of the largest national park in the lower 48 states. At this point I am not planning on selling the calendars to the general public, but if you’d like to order a fine art print from my landscape gallery I’d be happy include one with your purchase! Merry Christmas! !